I look on my bookshelves and all I see are reference books or biographies or stories of people’s experiences. I truly wish I could lose myself in fiction, I try, but I struggle with it. Nothing grips me like real-life. 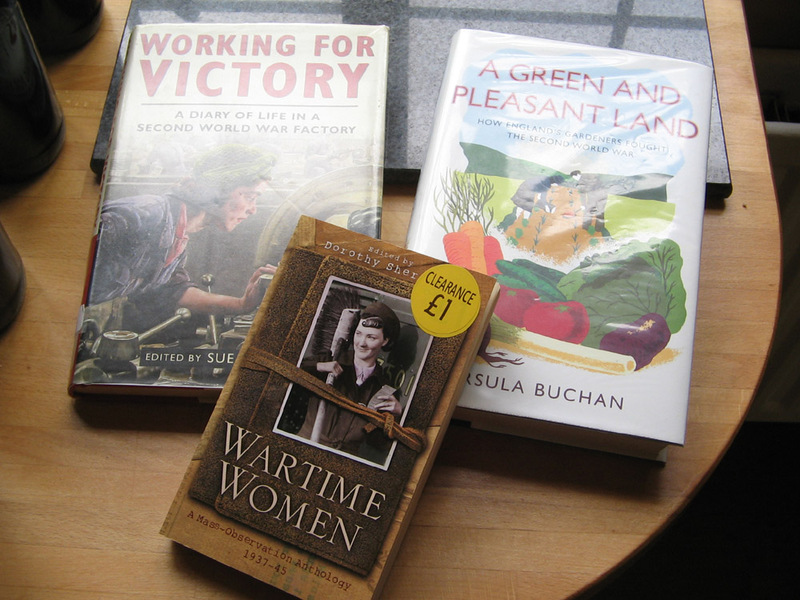 and I bought a bargain book for just a pound..
I’m hoping these will help with my blog, victory garden and the interesting psychology behind the war effort. 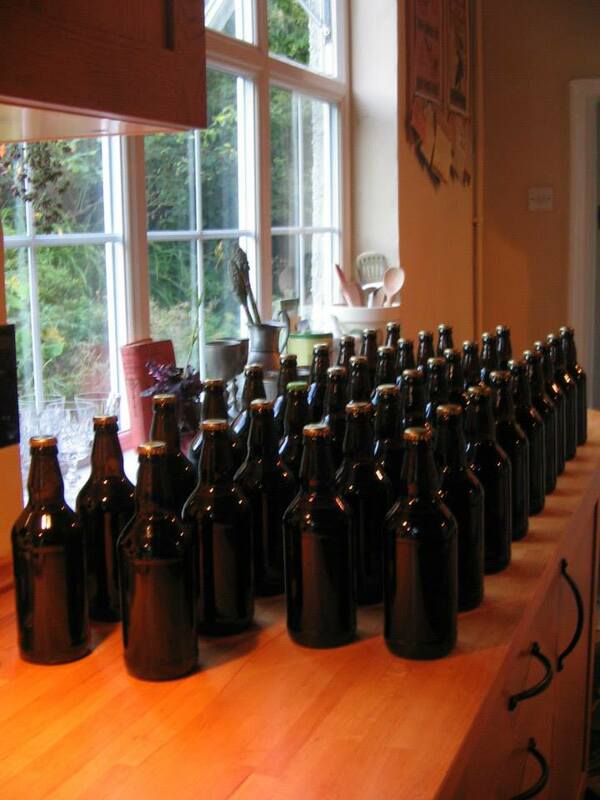 Yesterday I was busy in the kitchen making LOTS of mess but at the end of it I had bottled 38 pints of STOUT. I simply made it in a big bucket and with trying to spend as little money as possible, I figure this is saving me 1.25 a bottle and these should see me through until the New Year (theoretically). Once I’d syphoned off all the beer into bottles, I added 1/2 teaspoon of sugar in each and capped all the bottles. Now I have 14 days to wait.. So OK a kit beer is not exactly 1940’s (although you could readily buy beer) but I have to save money somehow (and still allow myself some enjoyment occasionally) but next time I’m going to brew beer from scratch. I’ve just seen some photos of friends of mine cooking hops on their stove and it looks like way too much fun. I’d better start saving up more sugar! This entry was posted in Uncategorized and tagged making beer, wartime books. Bookmark the permalink. well done! I tried a micro brewery under the kitchen table some years ago, mainly to keep my Dads morale up. My bitter and brown ale were very well received but larger was a disapointment as it need a cold cellar being top fermented rather bottom fermented like ale. I am sure you will find a home brew club near you and will soon earn your alewife wings. Have you read “The Taste of War”? http://www.theguardian.com/books/2011/feb/05/war-food-lizzie-cunningham-review. I’m going to try lay my hands on the books you’re reading – they look wonderful! For fiction, I rather like D.E. Stevenson’s novels: Sarah Morris Remembers and The Two Mrs. Abbots. I also like Jacqueline Winspear’s Maisie Dobbs detective series. I look forward to the day that Carolyn Ekins’ books stand on my shelves. Maisie Dobbs! Love it…fantastic fiction writing and I get totally immersed in the period..
Of similar note is “Daisy Dalrymple” (by Carola Dunn,) books, very simple stories, but so entertaining. That is awesome the books and the beer , I am the same way I love the war years and try to incorporate a lot of those things and ways into my daily life . I have to admit to being jealous! 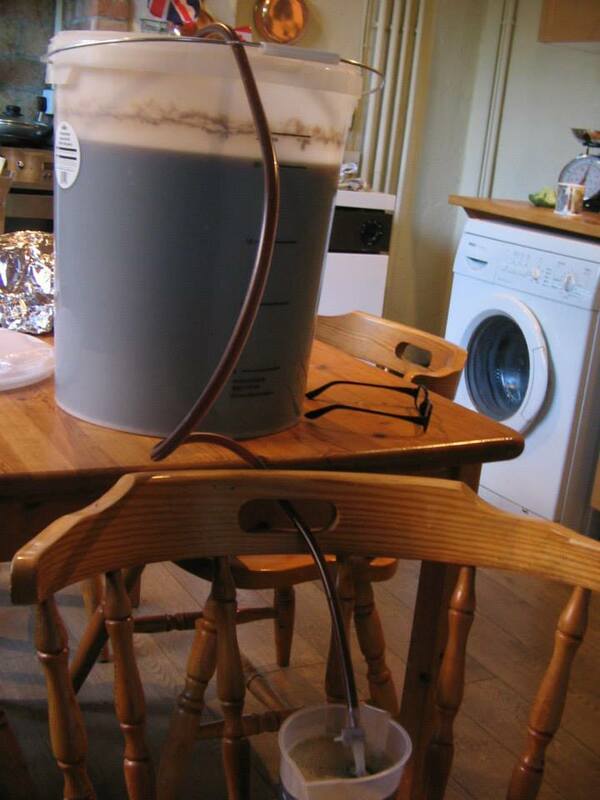 My step father used to brew his own beer and one year he brewed a batch for xmas and stored it in my lounge cupboard. One night we heard a terrible BANG and could not make out what it was. Several days later we found out the bottles had exploded what a mess to clean up. Never again, and the wife and I did not even drink!!!! Yikes!!!!!! Only had the same thing happen once and it was with an apple wine I made with my late ex husband. It was like a gun went off as it exploded… the wine we gave to friends also exploded in their kitchen and made a right mess too!!!! I have followed your blog for some time and each time I visit I find something to make me smile and many a time to challenge, both of which I count as gifts so thank you. I am simplifying and considering my diet and life generally day by day and find your thoughts, discoveries and journey towards a way of living that gives you meaning often deeply affecting but an encouragement always, so thank you again. You and I are kindred spirits. I love 1940s homefront era history, reading biographies and accounts of real life, cooking, canning, gardening. Only I’m on the other side of the pond, a southern belle with a Victory Garden and living on a ration book in my head. When the economy is hurting as it has been for years here in the US, I like to think to myself I have all the money in the world, but gosh, I’m out of ration stamps!